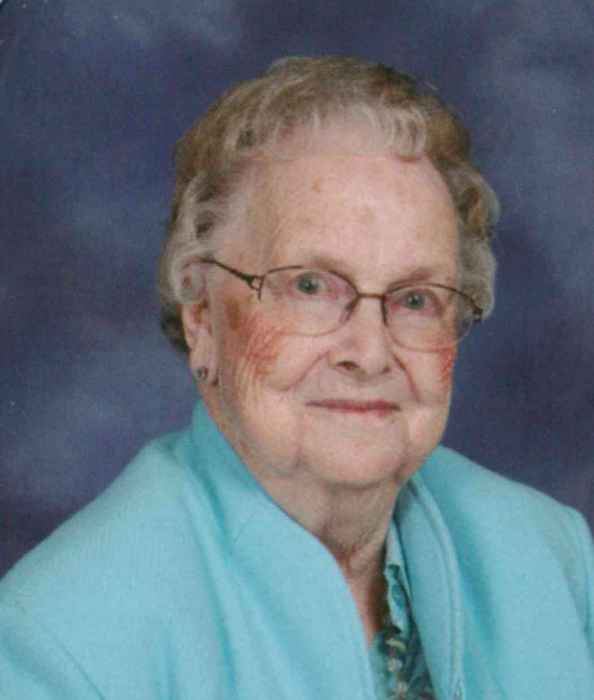 Erma D. Coleson, 88, of Manchester, Iowa, passed away at her home on Tuesday, August 28, 2018. She was born on March 10, 1930, in Earlville, the daughter of Edward F. and Iva V. (Wendling) Haas. As a young girl, the family moved to a farm near Central City. Erma was 11 years old when her dad died, and they moved to Anamosa. On March 29, 1946, Erma was united in marriage to Boyd Coleson at St. Patrick Catholic Church in Anamosa. Six children were born to this union. The couple farmed together, primarily in Delaware County. Erma and Boyd were proud to receive the 2007 Heritage Award for their farm being in the family more than 150 years. Erma was an excellent cook, working as the assistant head cook at the Strawberry Point Lutheran Home for 17 years. She retired in 1990. Erma cherished the time she spent with family, especially at Christmas time, and never missed sending a birthday card. She was a self-taught canner and baker, delighting her family with bread, cakes, and cookies. Erma enjoyed doing crossword puzzles, playing Bingo and Scrabble, and watching the Wheel of Fortune. She did lovely embroidery work on a wide variety of items, including tablecloths, pillowcases, and doilies. Survivors include Erma’s five children, Richard (Gail) Coleson of Ely, Linda (Dale) Trott of Clinton, Daniel (Bonnie) Coleson of Cedar Rapids, Kathryn (Dave) Horner of Waukee, and Denise (Tim) Larson of West Des Moines; a daughter-in-law, Janice (Jerry) Everitt of Strawberry Point; 13 grandchildren, Kari, Kim, Kelli, Frank, Benn, Hattie, Claire, Nathan, Steve, Danielle, Cole, Ryan, and Katelyn; 16 great-grandchildren; two great-great-grandchildren; her sister, Margaret Furuseth of Wisconsin; and many nieces and nephews. Erma was preceded in death by her parents; her husband of nearly 64 years, Boyd, in 2010; a son, David; a great-grandson, Cody Henry; three sisters, Edith Crippen, Helen Kirby, and Edna McDonald; and four brothers, Eugene, Alvin, Donald, and Leonard Haas.